Go around the room and ask each person to share what they are thankful for and what has caused them stress this week. This will become their prayer requests and praise reports for the week. Then, pray over the requests and for your time during the study. Be aware and sensitive that you may have some in your group that might not be ready or open to praying in the beginning. After prayer, ask the group what they have discovered since the last time they met in regards to the scripture they studied the previous week. Ask if they shared their discovery with anyone. -Have someone from the group read the passage of scripture out loud slowly while everyone follows along in their Bible. 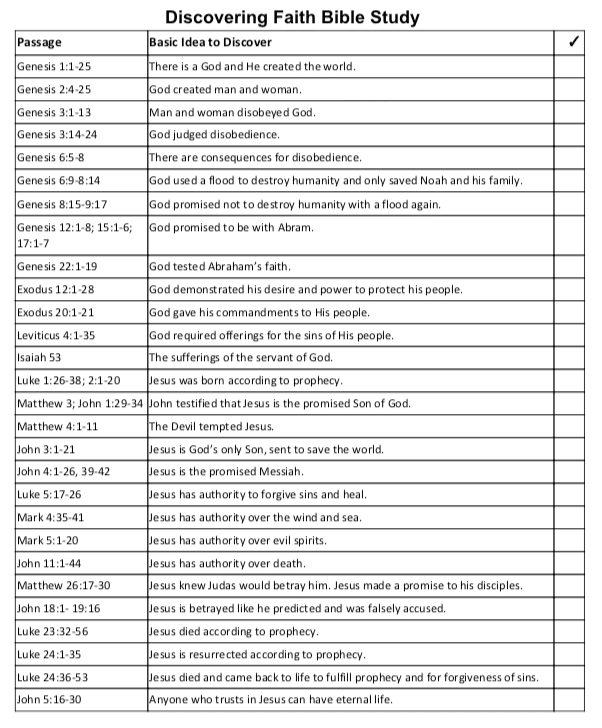 -Have someone else re-read the same passage from a different version of the Bible. -Ask someone from the group to retell the passage in their own words. After the retelling of the passage, ask the group to fill-in or correct any part that the retelling might have missed. -What happened in this passage? -What does this passage tell us about God? -What does this passage tell us about ourselves and others? 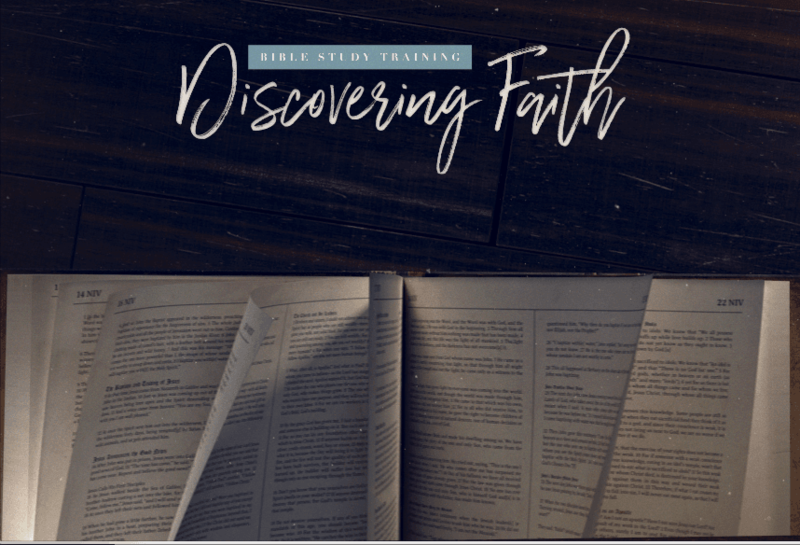 Your job as the facilitator is to help the people within your group discover who God is and what faith is about, by asking and re-asking these questions in different ways to help the group discover the biblical truths from the scripture. There are two cautions and temptations to be aware of. First, be sure to allow your group to discover God and faith within the passage you are reading. While it is tempting, be cautious about going to additional scriptures. Try to stay with the passage you are looking at and discover the truth(s) there. Searching other scriptures has a place, but in this type of study, it actually reduces the effectiveness of the discovery focus. Second, trust the discovery system and as a leader, don't be tempted to teach. Ask each group member to identify someone they might be able to share what they discovered in the study today with. Encourage them to share it during the next week.